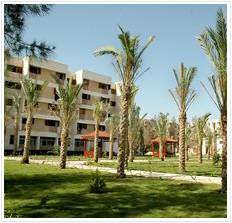 Damietta Branch includes two students’ Hostel ,one for boys and the other for girls with total capacity of (293) rooms , about (875) students. Excellent services are provided to the students including accommodation and meals in addition to various entertainment activities . Female student housing consist of two buildings; building (A) includes 80 rooms and building (B) includes 78 rooms with a capacity of 600 students. It also includes a central restaurant attached to it dining room to provide meals in addition to two halls for activities. The number of resident female students during the academic year 2007/2008 was 390 female students. 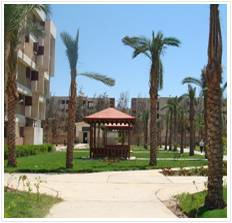 The Male’ Hostel consists of (3) apartment buildings. Each one contains (45) rooms with a capacity of (9) students each and a total capacity of (270) students. It also includes a dining hall to provide meals. The number of students reached (260)students during the academic year 2007-2008.